Gary spent most of his formative years in Swaziland and Hong Kong where he became a keen and competitive sailor, culminating in him representing Hong Kong at the 1982 World Youth Sailing Championships at Lake Como. He returned to the UK in 1983 and soon commenced his working career as a sail maker with North Sails UK, manufacturing high performance dinghy and yacht sails. Gary could often be found out on the water at weekends, trimming sails on client’s yachts or racing his own 18-foot Dart class catamaran. In 1992 Gary moved to South Wales to work for Landrell Fabric Engineering , and after two years joined Architen in Bristol before setting up his own project management business designing, manufacturing and installing tensile fabric structures. In 2003 he joined Fordingbridge plc until 2009. Gary joined A J Tensile in 2010 as the General Manager and was involved in the restructuring and relocation of the business over the next few years. In July 2014 Gary was appointed as a director of A J Tensile Tension Structures Limited where he project manages the design, fabrication and installation of tensile fabric projects within the group. Gary has completed many tensile fabric projects around the world including structures at the Royal London Hospital, Goodwood Racecourse, Al Ghurair Centre and the Majlis Tent in Dubai, Wimbledon, Plymouth Sainsburys, and the Gate Canopies in Alexandria, Egypt. With over two decades of involvement in technical sales and project management within the tensiles industry, Gary brings a wealth of knowledge and experience to any architects, designers, and contractors looking for a professional service. 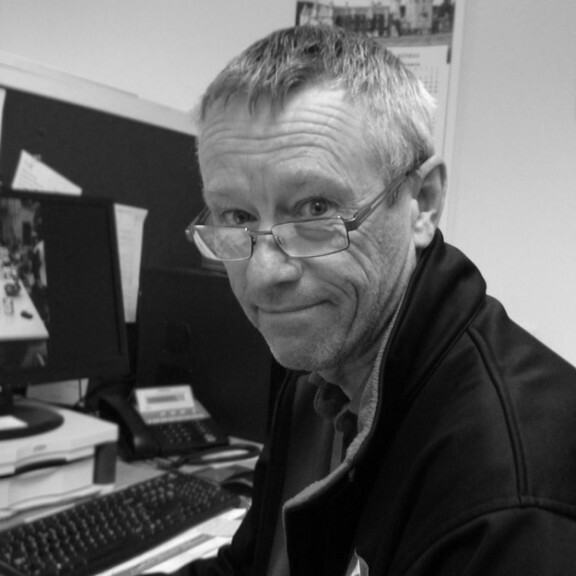 With an eye for detail and a focus on value engineering, Gary works closely with clients from initial concept design and pre-tender right through to detailed engineering, prototyping, manufacture and final project delivery, always with a strong commitment to completing on time and within budget. When not working on AJ Tensile projects Gary spends much of his time road cycling and often takes part in cycle ‘sportive’ events of up to 100 miles.